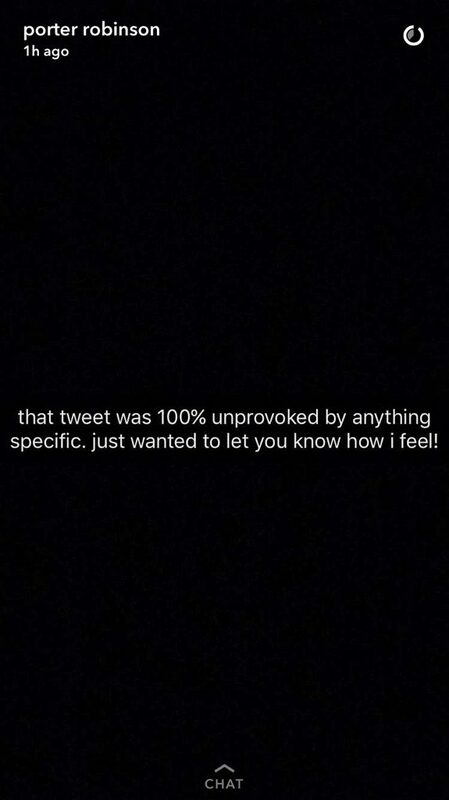 Just the other day, we reported on a tweet by Porter Robinson which pictured a Spotify playlist consisting of 11 original songs, captioned “No disrespect but this is the canon. Everything else is unofficial now. 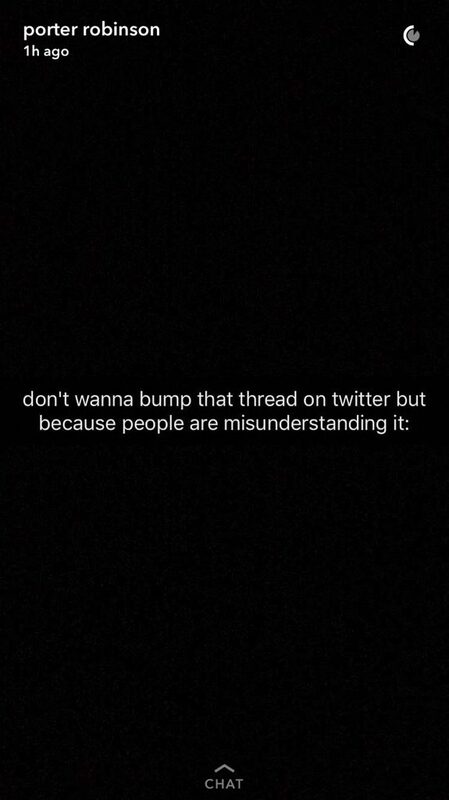 I’ve been making music for 12 years and i only wrote 11 songs, wow.” Many music websites took this literally, but we urged fans to consider the possibility that this tweet was satirical. We were wrong. 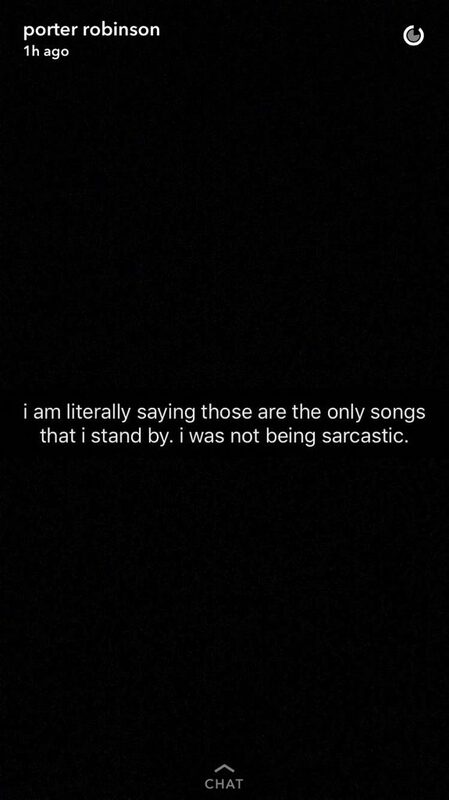 Last night, Porter confirmed that what he tweeted is true: these 11 songs are the only songs that he wants to stand by. 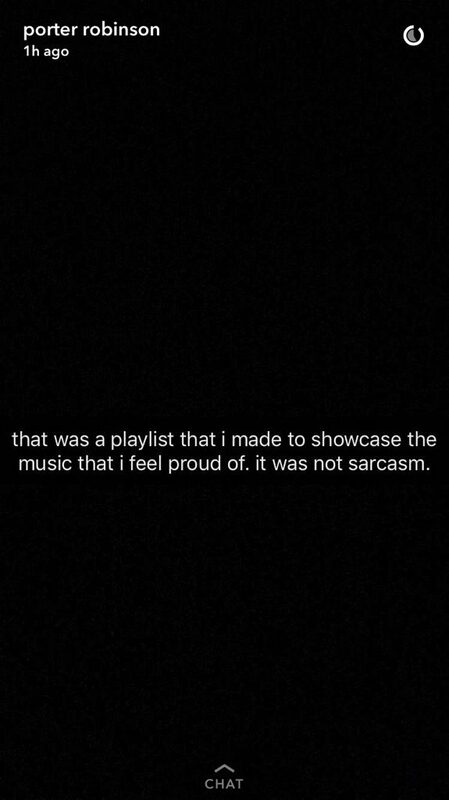 In a series of text-only Snapchat stories intended to be addressed to his closest fans, the creator of 2014’s hugely successful Worlds explained that the playlist in reference was made to showcase the music he truly feels proud of. This playlist includes “Language,” “Sea of Voices,” “Goodbye To A World,” “Divinity,” and seven other great songs from Robinson’s discography. A common theme across the playlist is that the songs included are of the most epic, sonically expansive, and emotional compositions we’ve heard so far. 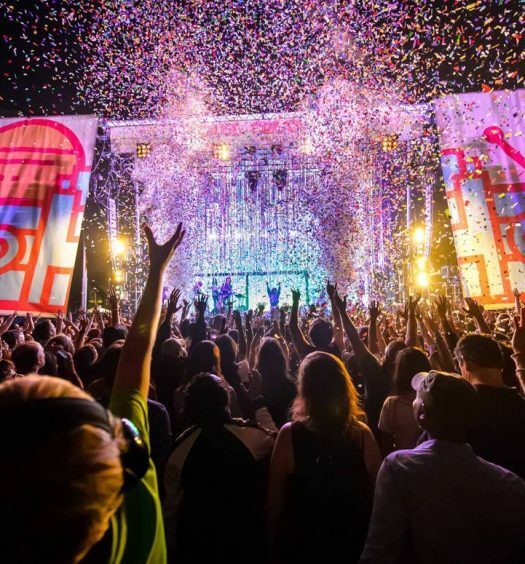 The music from early in Porter’s career – the 2012-era complex electro dominant music which boosted Robinson to initial success – has been largely left out. From an artistic perspective, this is highly admirable. Perfectionism is a trait common among visionaries, and Robinson is executing this doctrine. The fact that Porter Robinson can create something beautiful and soon dismiss it without being too attached to it is something that not everyone can do, and this is an indication that he’s taking his art very seriously. 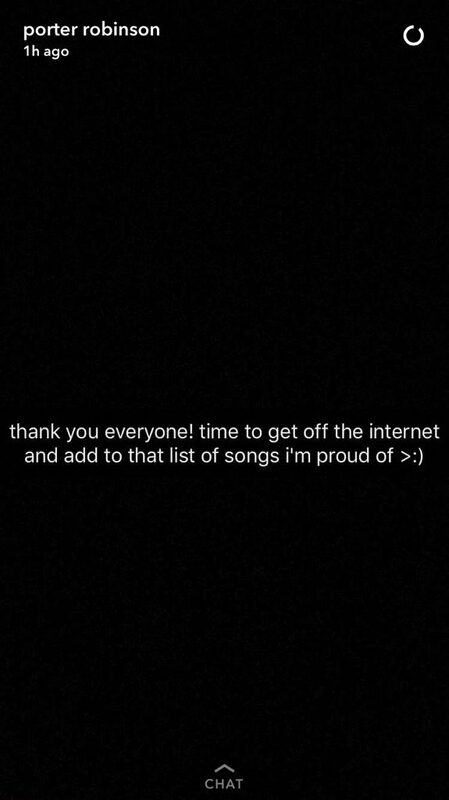 Porter’s final Snapchat of the evening states “time to get off the internet and add to that list of songs I’m proud of,” which means that Robinson is most likely hard at work. This is a great sign, and we can’t wait until the “official” playlist expands.